Falls are a prevalent problem in actual society. Some falls result in injuries and the cost associated with their treatment is high. This is a complex problem that requires several steps in order to be tackled. Firstly, it is crucial to develop strategies that recognize the locomotion mode, indicating the state of the subject in various situations. This article aims to develop a strategy capable of identifying normal gait, the pre-fall condition, and the fall situation, based on a wearable system (IMUs-based). This system was used to collect data from healthy subjects that mimicked falls. The strategy consists, essentially, in the construction and use of classifiers as tools for recognizing the locomotion modes. Two approaches were explored. Associative Skill Memories (ASMs) based classifier and a Convolutional Neural Network (CNN) classifier based on deep learning. Finally, these classifiers were compared, providing for a tool with a good accuracy in recognizing the locomotion modes. Results have shown that the accuracy of the classifiers was quite acceptable. The CNN presented the best results with 92.71% of accuracy considering the pre-fall step different from normal steps, and 100% when not considering. This work has been supported by the FCT - Fundação para a Ciência e Tecnologia - with the scholarship reference PD/BD/141515/2018, by the FEDER funds through the COMPETE 2020 - Programa Operacional Competitividade e Internacionalização (POCI) and P2020 with the Reference Project EML under Grant POCI-01-0247-FEDER-033067, and through the COMPETE 2020 POCI with the Reference Project under Grant POCI-01-0145-FEDER-006941. Extracted metrics through the four PCAs (one per locomotion mode) are here presented. Tables 9, 10, 11, and 12 correspond to extracted metrics from PCAs that used WF, Global, PF, and F data, respectively. Ribeiro, N. F., and Santos, C. P.: An intuitive visual interface for a real-time monitoring system for human gait using imus. In: 2017 IEEE International Conference on Autonomous Robot Systems and Competitions (ICARSC). https://doi.org/10.1109/ICARSC.2017.7964068, pp. 153–158, 2017. Macedo, P., Afonso, J. A., Rocha, L. A., and Simoes, R.: A telerehabilitation system based on wireless motion capture sensors. In: PhyCS - Proceedings of the International Conference on Physiological Computing Systems. https://doi.org/10.5220/0004873800550062, pp. 55–62, 2014. Ribeiro, N. F., and Santos, C. P.: Inertial measurement units: a brief state of the art on gait analysis. In: 2017 IEEE 5th Portuguese Meeting on Bioengineering (ENBENG). https://doi.org/10.1109/ENBENG.2017.7889458, pp. 1–4, 2017. 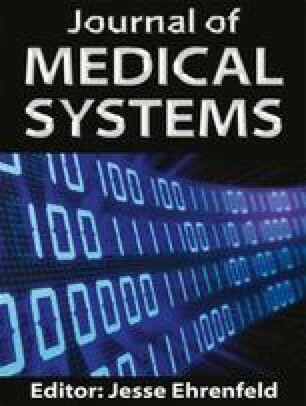 Kangas, M., Konttila, A., Winblad, I., and Jamsa, T.: Determination of simple thresholds for accelerometry-based parameters for fall detection. In: 2007 29th Annual International Conference of the IEEE Engineering in Medicine and Biology Society. https://doi.org/10.1109/IEMBS.2007.4352552, pp. 1367–1370, 2007. Jimenez, A. R., Seco, F., Prieto, C., and Guevara, J.: A comparison of pedestrian dead-reckoning algorithms using a low-cost mems imu. In: 2009 IEEE International Symposium on Intelligent Signal Processing. https://doi.org/10.1109/WISP.2009.5286542, pp. 37–42, 2009. Ribeiro, N. F., Ferreira, C., Reis, L. P., Silva, H., Macedo, P., Rocha, L., and Santos, C. P.: Validation of a knee angle measurement system based on IMUs. In: CLAWAR 2017 - The 20th International Conference on Climbing and Walking Robots and the Support Technologies for Mobile Machines. https://doi.org/10.1142/9789813231047_0078, pp. 645–652. World Scientific, Porto, 2017. Wei-min, L., and Chein-I, C.: Variants of principal components analysis. In: 2007 IEEE International Geoscience and Remote Sensing Symposium, pp. 1083–1086, 2007. https://doi.org/10.1109/IGARSS.2007.4422989. Pastor, P., Kalakrishnan, M., Righetti, L., and Schaal, S.: Towards associative skill memories. In: IEEE-RAS International Conference on Humanoid Robots, pp. 309–315, 2012. https://doi.org/10.1109/HUMANOIDS.2012.6651537.